It’s the busiest time of the year for small business owners. The orders are flooding in, and online orders are being packed and sent to customers via Australia Post. But the fact is that not all parcels will arrive on time. Or even at all. Thousands of people complain weekly about letters and parcels simply not being delivered, lost or tampered with. What’s worse is that Australia Post is not doing anything about the issues and allegedly lie to customers to protect their contractors. We’ve talked to countless business who have had their items simply not arrive or express parcels arrive 3 weeks late. Paying more for Express Post is a scam, often the items arrive later than normal registered post. Many are suggesting have a Plan B, but we disagree. Simply send your items to a reputable company such as Office Works or a Courier. Before making a complaint, contact the postal operator directly and give them 5 business days to respond to your complaint. If you’re still waiting, call back and ask for a progress update. Record the complaint reference number. If you’re still unhappy, contact the Ombudsman. The letter above is an actual image taken of express letters simply dumped on the ground in Victoria. Now ask yourself do they really care about your items being delivered. It would be great to turn back the clock and restore the Travelling Post Office vans – known as TPOs – on trains, with 74 specially-selected mail workers sorting letters along the way. In fact, nearly half the mail handled by post offices was sorted in the vans as the express trains steamed through the night. When Orange had trains you could mail a letter to Sydney at the railway station up to midnight and it would be delivered the next morning. But turn the clock forward to today and what have we got? A terrible service with a dollar to post a letter and up to seven days for it to be delivered or $1.50 if you want it to arrive in three or four days. A letter posted at Orange East Post Office for an Orange Post Office box was delivered 11 days later. Another local letter arrived four days after it was posted, while one sent to Spring Hill took three days to get there. And with Christmas coming, things will get worse for people who still post greeting cards. So the TPOs have long gone but we could always look at Pigeon Post that would be much faster than snail mail. 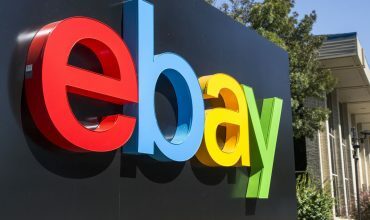 Should you use eBay to sell your items?